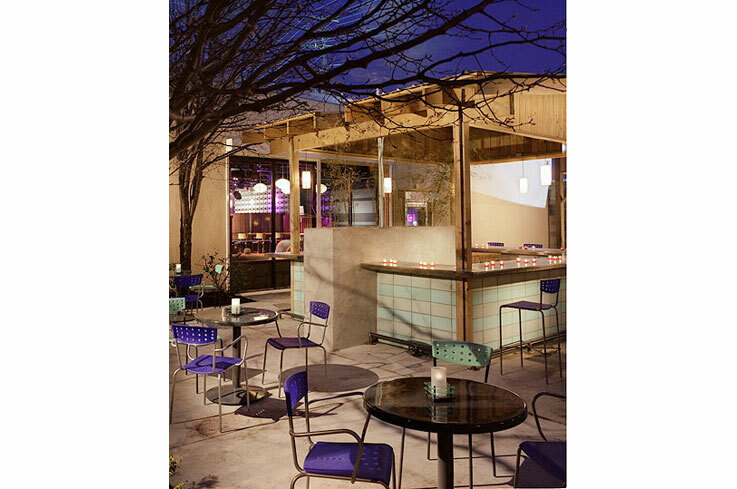 Named on Condé Nast Traveler 2004 Hot Nights List of 30 best international nightspots, this 12,000 square foot venue is composed of several rooms, each with its own vibe and design, as well as a 3500 square foot outdoor courtyard bar. 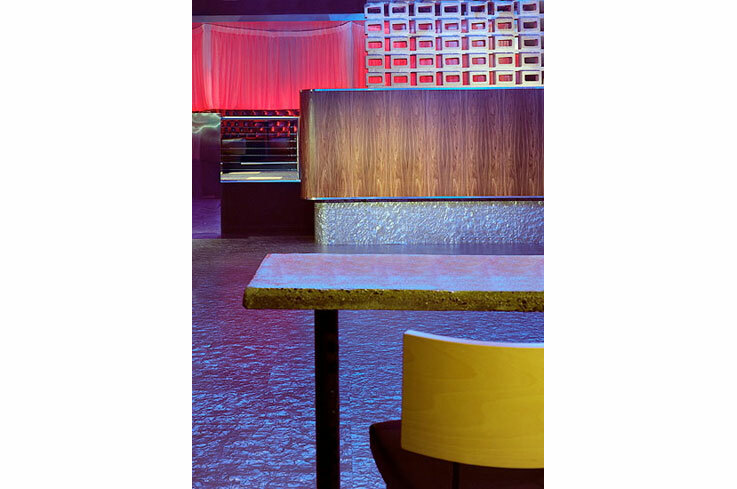 For this high-energy midtown club we wanted to provide a departure from the typical Memphis/Beale Street blues joint that caters to a heavy tourist market. The space is infused with a hip and modern sensibility, intense colors and unique lighting. 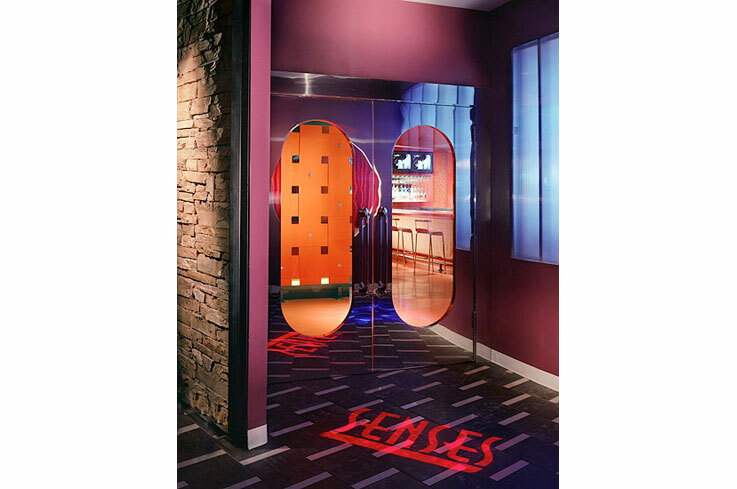 By providing views from each area into the next, the clubgoers never feel isolated and are encouraged to explore the facility. The design of each room is unique yet they all work well together. The central video bar/Vermilion Room is intense with all surfaces bathed in orange. 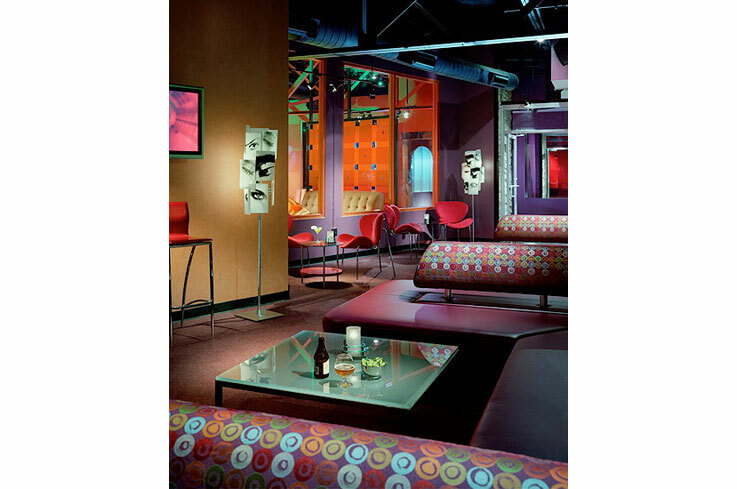 In the Ultra Lounge the orange is burnt and more sedate, muted by anthracite walls and burgundy drapes. 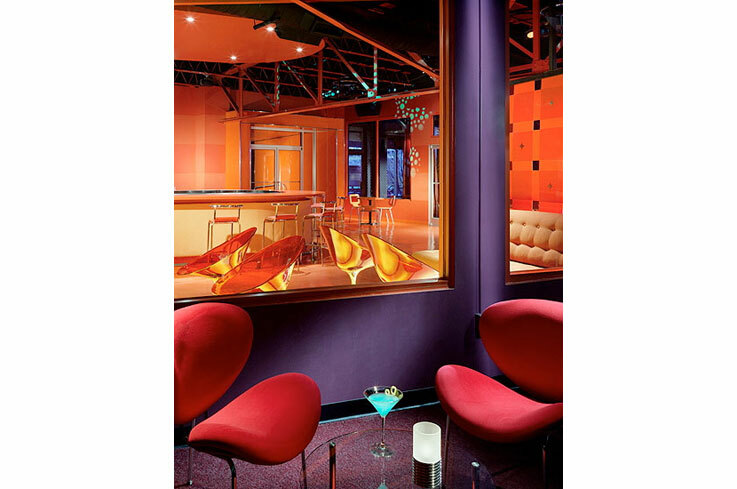 In the Martini Bar it’s an accent with purple, red and lime. The main club is more neutral – a backdrop for color changing LED fixtures and the intensity of the dance floor lighting. 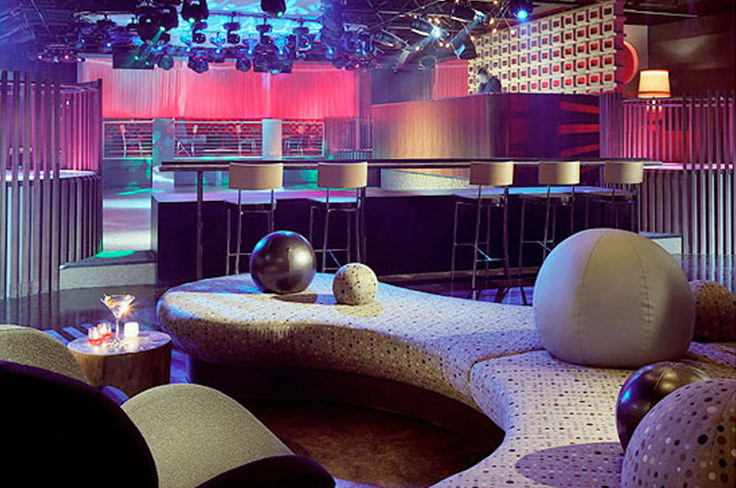 It has a central dance floor surrounded on two sides by raised platforms, seating and several bars.